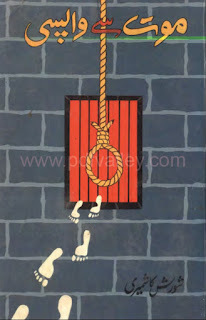 You can download Mout Say Wapsi ( Urdu شورش کاشمیری) by Shorish Kashmeeri free in pdf format. Agha Shorish Kashmiri was a scholar, writer, debater, and a leader of the Majlis-e-Ahrar-e-Islam party. He was a figure of the freedom movement of undivided India, as well as the chief editor of the weekly Chattan magazine, in Pakistan.